2.5" diameter vitreous enamel on 18ct gold. Set in antique gold frame. 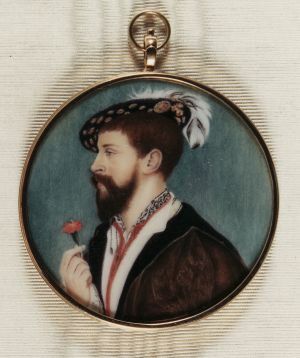 Gillie Hoyte Byrom hand paints enamel portrait miniatures to commission using traditional techniques involving a sequence of kiln firings to create an unfading, jewel-like heirloom.